Chest pain during pregnancy can have many different causes. Most of these causes are related to the normal changes your body undergoes in pregnancy and are not dangerous. However, sometimes chest pain in pregnancy can be a sign of something much more serious. Sudden chest pain, especially if you also have a cough or shortness of breath. Chest pain that radiates down either arm. Chest pain accompanied by fever. Chest pain with shortness of breath, dizziness, or unusual sweating. Having one of these symptoms does not necessarily mean that there is something seriously wrong, but it might indicate a problem with either heart or lung function, so it's imperative that you are assessed by a professional. If you have chest pains while pregnant and any of the additional symptoms listed (fever, shortness of breath, sudden cough, dizziness, or unusual sweating), call your health care provider even if the chest pain is not severe. The main symptom of a heart attack is chest pain or discomfort in the mid chest area. Feeling lightheaded and short of breath are additional concerning symptoms. Women may also experience pain to one or both arms, the jaw, neck, stomach or back. If you smoke or are obese, this will increase your chances of a heart attack. A blood clot can form in the legs or pelvic area. You may experience pain and swelling in the leg. It may also feel hot. The clot can dislodge and travel to the lungs causing a life-threatening condition called pulmonary embolism which will cause chest pain and breathing difficulty. Your chance of blood clot increases during pregnancy if you smoke, are obese, are over 35 years old, are carrying multiples or have a heart or lung-related condition. A woman who was diagnosed with congenital heart disease at birth may not typically have any issues or symptoms. But the stress on the body from pregnancy may cause some complications and your doctor will need to monitor you closely. An aortic dissection is a tear in the wall of the aortic artery where blood then collects and could eventually lead to a rupture. This condition can result in chest pain. The risk of this condition also increases with pregnancy. Usually chest pain during pregnancy is not caused by anything remotely life-threatening. More commonly, chest pains when pregnant are caused by the normal processes of pregnancy and the added physical stressors of adapting to the growing fetus. One almost universal cause of chest pain during pregnancy is heartburn which can be caused by indigestion, gas or triggered by certain foods. Hormones that increase in pregnancy in order to maintain the uterine lining also soften the ligaments that keep the lower esophageal sphincter closed. When the lower esophageal sphincter is relaxed, acid and stomach contents can reflux back into the throat and the esophagus, causing the characteristic burning and sour taste associated with heartburn and acid reflux. In addition, the physical pressure of the growing baby pushing into the diaphragm and the stomach also contribute to heartburn-related chest pain in pregnant women. Eating smaller amounts of food more frequently instead of three large meals. Sleeping with head and shoulders propped up on pillows. Drinking fluids in between meals instead of with meals. Wearing clothing that fits loosely at the waist. Most women experience pressure in the lower pelvic area during pregnancy especially where the bladder is concerned. However, in the third trimester it is not unusual to feel pressure higher and under your diaphragm and ribs as your baby grows. This is not only uncomfortable but it can prompt chest pain as well. Some pregnant women experience chest pain because of strain on the muscles and ligaments in their chest area from the weight of their pregnant abdomen, especially in the third trimester. Not much can be done to avoid this kind of pain. However, soaking in a warm bath or taking a warm shower can sometime help alleviate the worst discomfort. Taking frequent breaks during the day and avoiding heavy lifting can decrease pain as well. Stress during pregnancy is not uncommon. 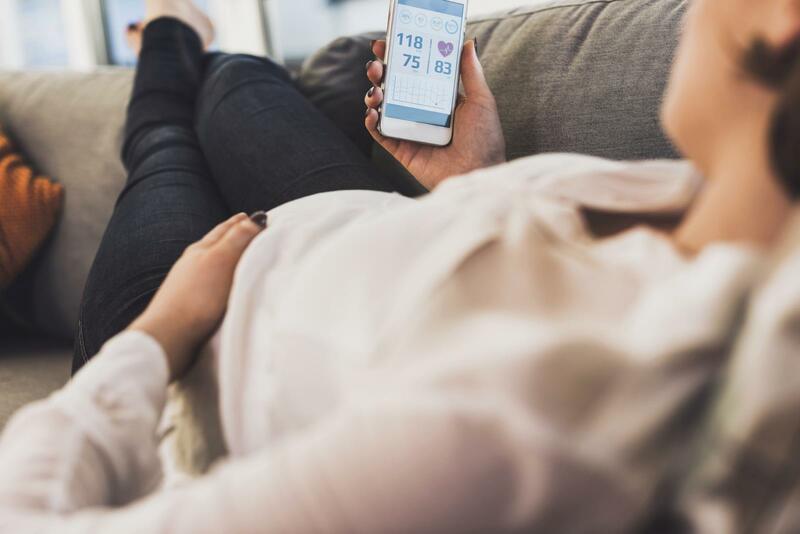 It can happen at any time during the pregnancy for various reasons, therefore it is important that you alleviate or eliminate those unwanted stress factors. It can cause muscle tension or even lead to anxiety attacks which can both cause chest pain. Stress can manifest into other various physical and mental issues as well. Try yoga or speak with a therapist if you are dealing with unmanageable stress during your pregnancy. Your rib cage tends to widen as your pregnancy progresses, especially in the third trimester. As the baby grows, there will be more pressure on your ribs, muscles and diaphragm. This may intensify with baby movements such as when he or she is kicking into your ribs or when the baby stretches. This can cause tension in your chest, shortness of breath and chest pains. Stretching and gentle exercises such as yoga may provide relief for your chest pain. Sometimes, what pregnant women describe as chest pain is actually breast pain, particularly during the first and third trimesters. Breast pain in pregnancy is caused by increased blood flow to the breasts and hormone releases in preparation for breastfeeding. Mild breast discomfort is normal although some women find that the support of wearing a snug fitting sports bra at all times helps alleviate it. If you have severe pain in your breasts or pain in only one breast or one area of one breast, particularly if you have a fever, you should be checked by a health care provider, as this can be a sign of a clogged duct or an infection. Women who are pregnant have a higher risk of gallstones due to increased estrogen during pregnancy. Symptoms of gallstones include chest pain, and pain in the right upper abdomen area that may radiate to your shoulder and back. You may also experience nausea, vomiting and jaundice. 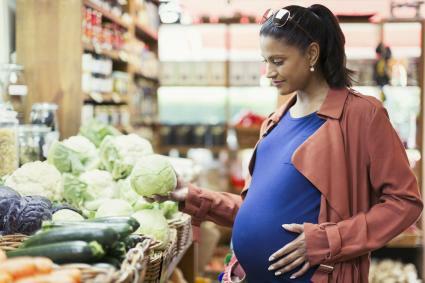 You may be able to relieve the symptoms by diet and your doctor will monitor your gallbladder throughout your pregnancy. However, if your symptoms are severe, you may need surgery to remove the gallbladder after you deliver your baby. In some cases it is necessary to remove the gallbladder while still pregnant. Although in the vast majority of cases, chest pain in pregnant women has a relatively harmless cause, only your health care provider can make the ultimate determination. Protect yourself and your baby by communicating with your doctor or midwife about chest pain you may have during pregnancy.